July 21, 2017, 12:01 p.m. 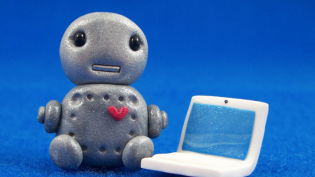 Fear not, journalists: Roboreporters are not coming for your jobs, at least not yet. That’s the takeaway from a new report from Alexander Fanta at the Reuters Institute for the Study of Journalism, who took a look at how 15 news agencies in Europe have implemented automation in their organizations. While the news agencies have been drawn to the the efficiencies of the technology, organizations still have a lot of work to do with realizing that promise. Fanta’s conclusion: “So far, automation is limited in its scope and complexity,” as he writes in the report. — Automation’s role is growing, but still limited. Big news agencies like AP, Reuters, and AFP are producing thousands of algorithm-aided stories month, particularly in finance and sports. But adoption is still uneven. Organizations such as Spain’s Efe and Ansa in Italy are still reluctant to make the necessary investments in the tech, citing the uncertain payoff in investment in the tech. — Data availability is still a challenge. When it comes to automation, news agencies have been drawn to sports and finance because there is readily available, structured data in those fields. That’s less the case in many other sectors, which limits news agencies’ ability to produced automated stories and many areas. Many agencies are also reluctant to build their own data repositories, which introduces new costs and complexity and requires expertise that they lack. — Automation is going beyond news writing. Reuters, for example, created the Reuters News Tracer, which was designed to alert reporters when news breaks on Facebook and Twitter. Dutch news agency ANP developed a tool that automatically simplifies the language in news stories and republishes them in its Kids Feed. — News agencies say they aren’t turning to automation to cut jobs. This, of course, is one of the big concerns among reporters about the industry’s interest in automation. But none of the news agencies Fanta spoke to said that automation is helping to cut costs. On the contrary, automation has introduced new costs to news agencies, such as expenses related to developing the automation technology (or licensing it from outside companies) and maintaining the data sets that the automation tools rely on. “People think automation is cheap, but automation is in fact not that cheap. If you automate, it costs you money. You have to maintain it, you have to track it, you have to manage it. It’s actually not [there] to save a lot of money,” said Reuters innovation manager Reg Chua. Bilton, Ricardo. "A new report examines the state of automated journalism in Europe — and what’s holding it back." Nieman Journalism Lab. Nieman Foundation for Journalism at Harvard, 21 Jul. 2017. Web. 20 Apr. 2019. Bilton, Ricardo. "A new report examines the state of automated journalism in Europe — and what’s holding it back." Nieman Journalism Lab. Last modified July 21, 2017. Accessed April 20, 2019. https://www.niemanlab.org/2017/07/a-new-report-examines-the-state-of-automated-journalism-in-europe-and-whats-holding-it-back/.